Simon Hewett is one of the most versatile conductors of his generation, moving with ease from masterpieces of the operatic repertory to the most demanding and uncompromising works by contemporary composers. Whether conducting Otello for Opera Australia (July 2008), a John Neumeier ballet premiere at the Baden Baden Festspielhaus (November 2006), or his frequent performances at the Hamburg State Opera and with Australia's Elision Ensemble, Hewett has gained a reputation for performances of stylistic fluency, emotional intensity and technical precision. Simon Hewett studied clarinet and conducting at the University of Queensland, graduating with First Class Honours and a University Medal. At 19 he was the youngest ever finalist in the ABC Young Conductor of the Year Award, and conducted the West Australian Symphony Orchestra in a performance of Hindemith's Symphonische Metamorphosen. In 1998 he was awarded a German Government Scholarship and studied operatic and symphonic conducting for 3 years at the Franz Liszt Hochschule für Musik in Weimar, Germany. Since 1996 he has worked frequently with the Elision Contemporary Music Ensemble, touring with them to Korea in 1997, and Europe in 1998. He has performed with Elision at all of Australia's major festivals, premiering Richard Barrett's Opening of the Mouth, and Liza Lim's opera Moon Spirit Feasting. His CD of Richard Barrett's Opening of the Mouth with the Elision Ensemble was reviewed by the BBC Music Magazine upon its release as "a disc for the desert island," and was named by the same magazine 'Pick of the Month' in April 2000. He conducted Moon Spirit Feasting at the Hebbel Theatre (Berlin), the Zurich International Arts Festival, and Saitama Theatre (Tokyo) and in 2002 he led performances of John Roger's Inferno at the Brisbane Festival. A second CD with Elision, featuring music for ensemble by Chaya Czernowin, was released in 2003. He has conducted Elision in revivals of Moon Spirit Feasting for the Powerhouse Theater, and the Queensland Arts Festival, and in March 2008, he conducted the ensemble's critically acclaimed debut at the März Musik Festival in Berlin, in performances of a new work by Liza Lim, Mother Tongue. From 2002-03 Simon Hewett was a member of Opera Australia's Young Artists' Programme, and made his debut at the Sydney Opera house in October 2003, conducting Bizet's Les Pecheurs du Perles. He was immediately reengaged for performances of Il Barbiere di Siviglia in 2004. He has since returned regularly to Opera Australia as a guest conductor, for Tosca (2005), Turandot (2006), and to lead the revival of Harry Kupfer's critically acclaimed production of Otello (2008). He returns to Sydney in 2009 for Aida, and a new production of Cosi fan Tutte with director Jim Sharman. 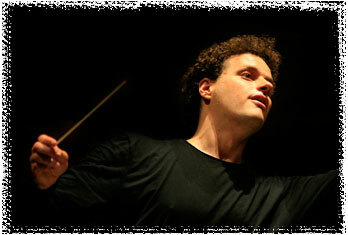 In 2005 Simone Young invited Simon Hewett to join the Hamburg State Opera as Kapellmeister (Resident Conductor). In this capacity he has conducted over 100 performances of opera and ballet, including La Traviata, Die Zauberflöte, Il Barbiere di Siviglia, Tri Sestri (with Martyn Brabbins), L'Elisir d'Amore, Carmen, Don Giovanni, Tosca, La Boheme, Haensel und Gretel, Il Turco in Italia, Parzival, Romeo and Juliet, Cinderella, Silvia, The Nutcracker, Swan Lake and Die Kleine Meerjungfrau. Simon Hewett's debut at the Komische Oper in 2008 conducting Der Barber von Sevilla was followed by an immediate reinvitation to conduct Die Entführung aus dem Serail in 2010. As a symphonic conductor Simon Hewett has appeared with the Queensland Symphony, Sydney Symphony and West Australian Symphony Orchestras. As a student he conducted the Queensland Youth Symphony Orchestra, the Queensland Youth Chamber Orchestra, the Sydney Youth Orchestra, the University of Queenlsand Symphony, and the Weimar Kammerphilharmonie. During his studies in Germany he also appeared with the Jena Philharmonie and the Thuringian Philharmonie. In January 2009 he debuted with the Brandenburg Symphoniker, and was immediately invited to return. Since conducting the premiere of John Neumeier's Parzival at the Baden Baden Festspielhaus in 2006, Simon Hewett has enjoyed a close and productive collaboration with the Hamburg Ballet. He has toured with the Hamburg Ballett to Japan (February 2009), and he has conducted Neumeier's productions of Mahler's 7th and 3rd Symphonies at the Hamburg State Opera, and the Paris Opera (Bastille) respectively. Simon Hewett takes up a position of Principal Conductor with the Hamburg Ballet from the beginning of the 2009/10 season. Future collaborations with Neumeier include a revival of Mahler's 3rd Symphony in Hamburg, and Orpheus (music by Stravinsky), which will be premiered in Hamburg in December 2009 before touring to the Salzburg Festival in August 2010.